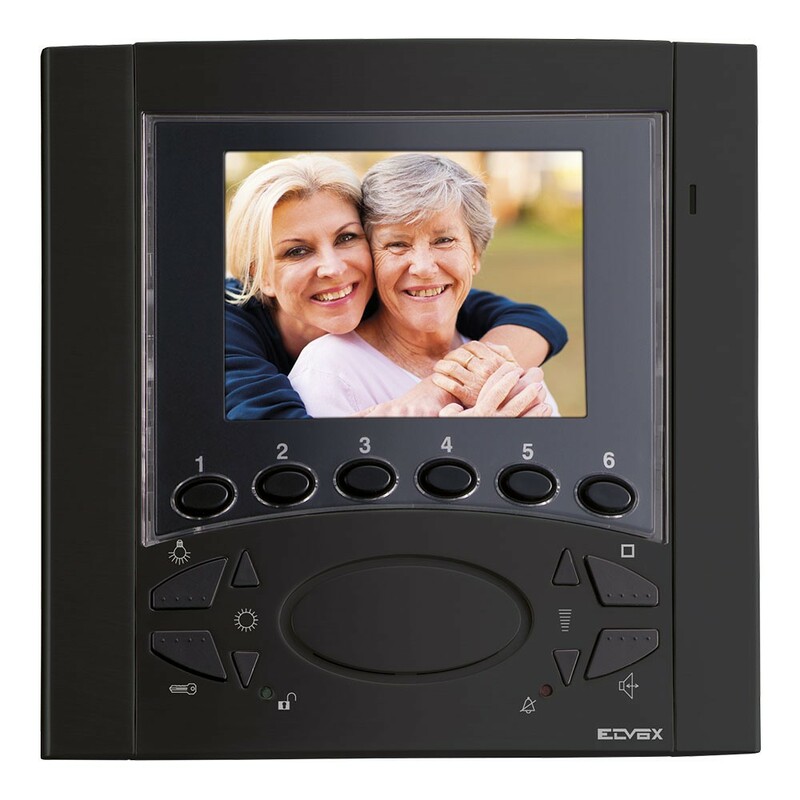 The Vimar (Elvox) Open Voice Monitor, type 6600 is a compact addition to the Elvox range of Open Voice systems. 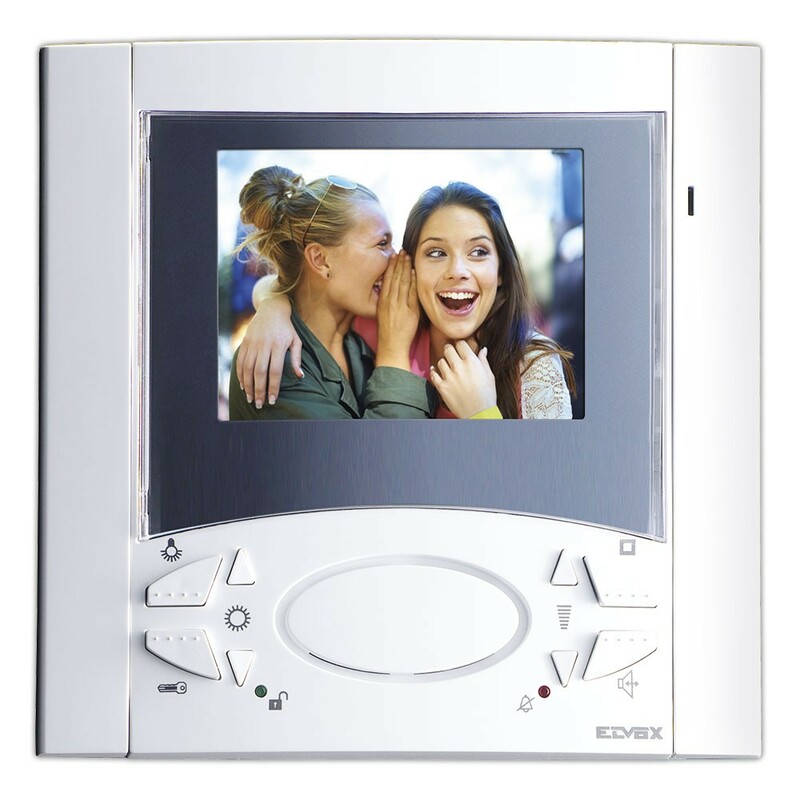 The 6600 has a 3.5" LCD colour display with a tilt facility to enable the best viewing angle to be set. 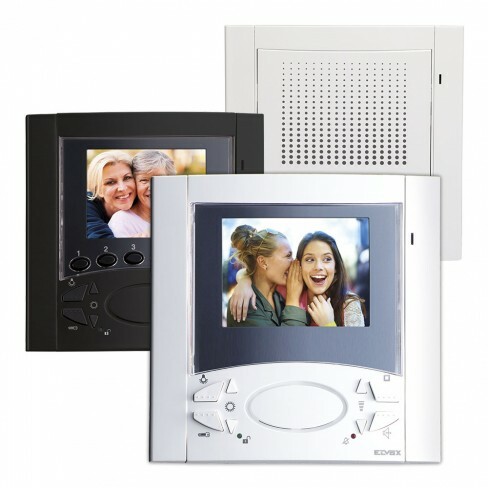 As with all Elvox Open Voice equipment, the 6600 has auto-switching of the audio to give simulated duplex. 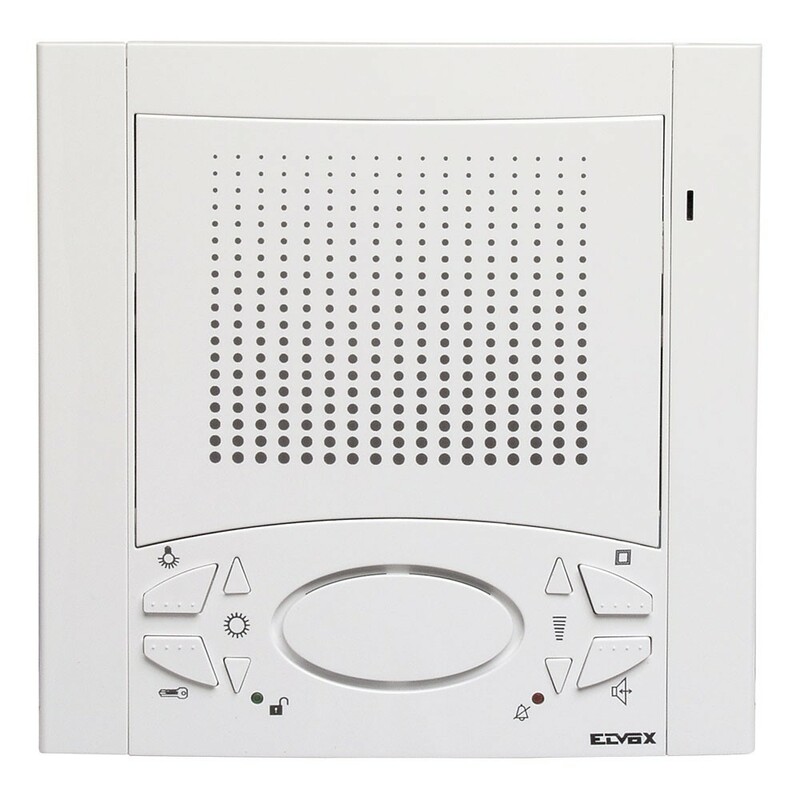 When a resident receives a call from the entrance panel, the talk button should be pressed and released to open the audio line which switches automatically thereafter to enable a normal telephone type of conversation to take place without any need to 'push to talk' each time. The 6600 also has a lock release button, two auxiliary buttons, brightness and audio volume controls, a green 'door open' led and a red 'Privacy' led. Surface mounting dimensions - 141 x 139 x 40mm.